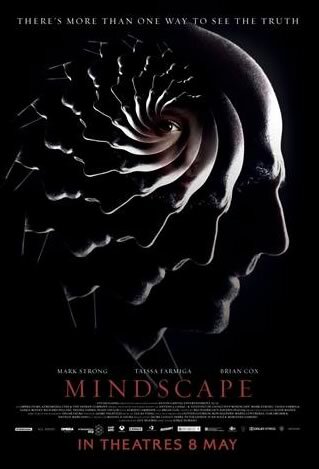 Mark Strong is one of those actors who gets typecasts as villains in Hollywood films (hence his inclusion in Jaguar’s “Good to be Bad” advertising campaign) but his intensity and presence give him more range that a string of baddie parts suggests. As the “memory detective” plunged into the skeletons-in-closets-filled world of a wealthy and powerful family, Strong’s mix of wariness and vulnerability is quite convincing. The interplay between him and Taissa Farmiga is quite fun to watch. Farmiga bites into her meaty role in an entertaining fashion, her portrayal of the disturbed Anna Greene reminiscent of many a Saoirse Ronan performance. Anna is part Cole Sear, part Catherine Tramell (or is she?) and Farmiga gamely unravels the Gordian knot that is the character before the audience and is mesmerising at it. Brian Cox doesn’t really do much in his supporting role.